However, the raw height figures are really not the most relevant measure of wilderness. The 2500 m + peaks of Romania and Bulgaria are quite misleading if you want to draw the right conclusions, because when we take out the statistics from a 4×4 overland tour of eastern Serbia, we find out that the average driving altitude is not any lower than in the Carpathians, and there are even some breathtaking campsites at altitudes higher than those of the much more famous neighbouring mountains! Those who know the Carpathians well know that, for example, the Apuseni mountains are regarded as one of the best 4×4 touring areas in Romania, and their three highest points are barely over 1800 m. And the most exciting mud-trails of Romania, those that draw huge crowds of mud-lovers to the Carpathians, are at an average altitude often below 1000 m! And all of that Serbia has in abundance, which is quite natural when we take into consideration that eastern Serbia is in fact the southernmost tip of the 1500 km long Carpathian mountain range. And it has huge areas of free, uninhabited wilderness to roam around, which feature deep canyons, magnificent waterfalls, dark, endless forests, and beautiful lakes – all the things that have made Romania the #1 adventure travel destination in Europe in recent years. 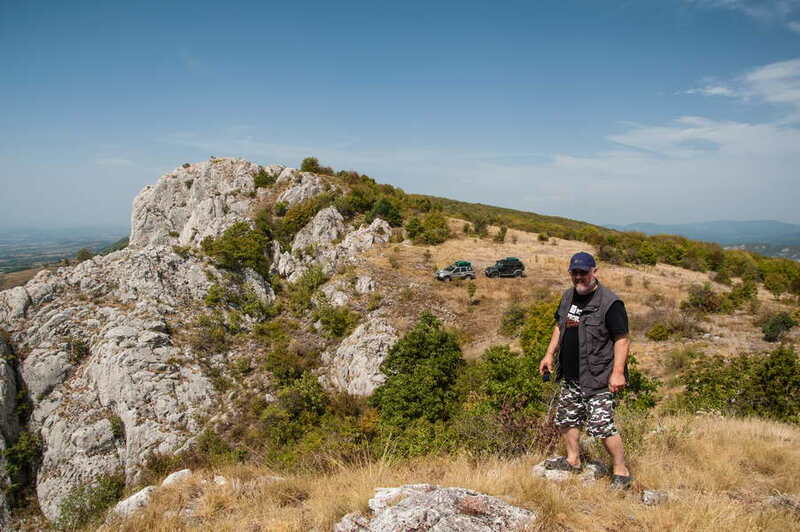 So predicting that Serbia will be the next favorite European 4×4 destination is nothing but logical, especially taking into account that it’s still an oasis of unrestricted 4×4 travel and free wild camping. This report from our tour through the most exciting part of Serbia is quite likely going to convince you of that. Are you ready to be taken on a journey of discovery? The town of Niš is the second largest city in Serbia, and a junction of the European highways leading to Bulgaria and Greece. But it’s also a town surrounded by magnificent mountains from all sides, that make every passionate adventurer in Serbia envy it’s inhabitants. 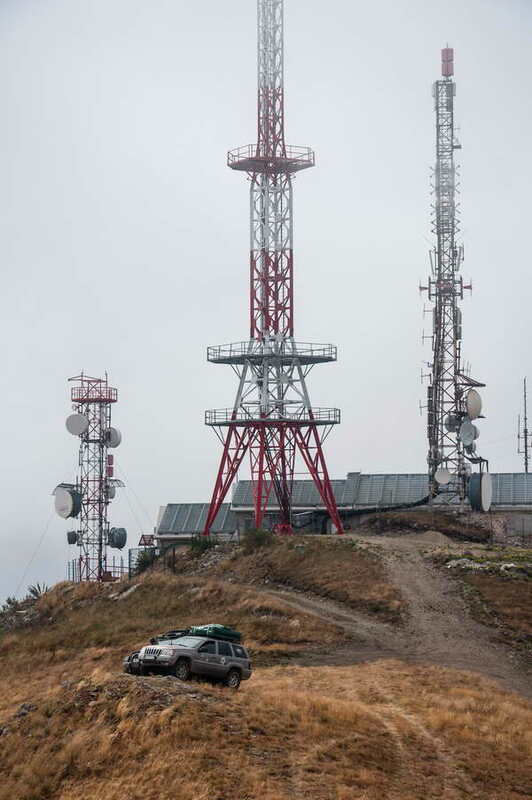 The rocky spine of the 1810 m tall Suva planina begins from the very suburbs of Niš (the spa resort Niška banja), and the highest Serbian mountain, Stara planina (2170 m) is less than 100 km away to the east. So getting off the main roads at Niš was a natural way to start a tour of southeast Serbia. Suva planina was our first goal. 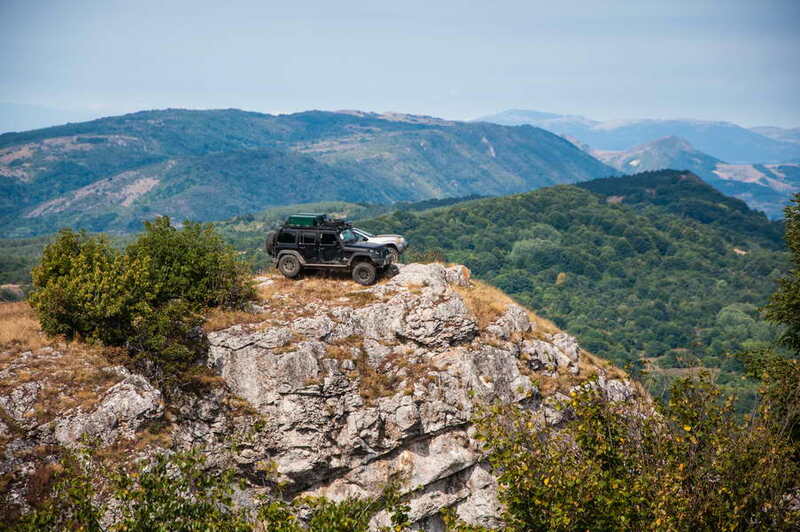 Comprised of two narrow, striking rocky ridges that form a V shape towards the southeast, it’s not exactly a place easily mastered by offroaders. 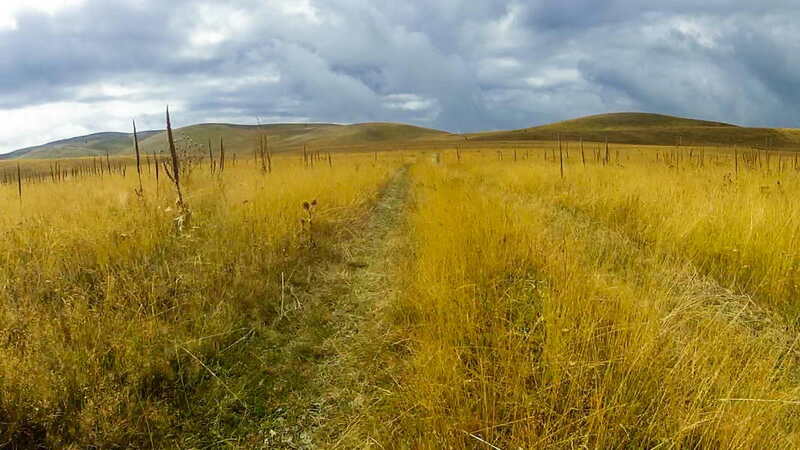 Most of it’s steep, narrow footpaths are inaccessible to any other form of transportation but hikers, but there is a highland plateau at an average altitude of about 1500 m i the south that is an exciting 4×4 exploration area, provided that you know how to get there. And there are not many ways to reach it. It’s mostly covered by dense forests growing on extremely rocky limestone terrain, so be prepared for some quite extreme rock-crawling. But don’t be surprised if you encounter some thick mud in a few key points where the soil doesn’t let the water disappear into the ground fast. And the maze of narrow forest trails won’t let you navigate easily, if you don’t know all the secret junctions (and Google maps can’t help much). 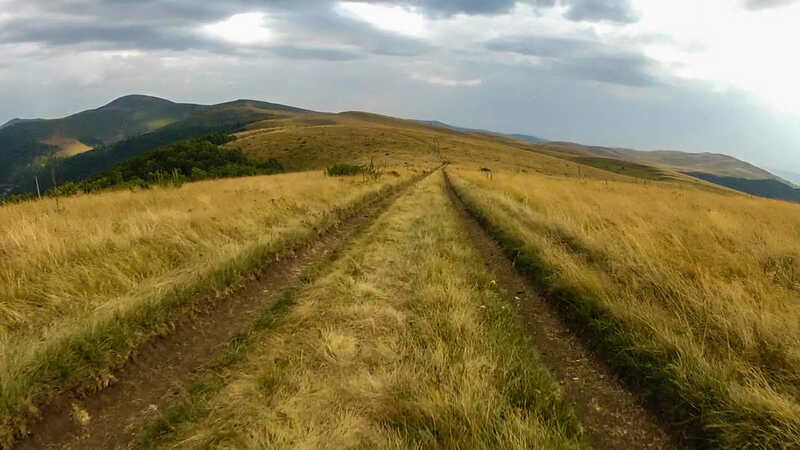 Suva planina means “dry mountain”, and it’s no coincidence – there’s only one source of water on the entire plateau, and even that one often runs dry towards the end of summer. So don’t go up without the amount of water you’d need for a few days! To put it shortly, it’s no place for regular tourists. But it’s an enchanting place for wilderness admirers, an oasis of utmost peace and solitude. 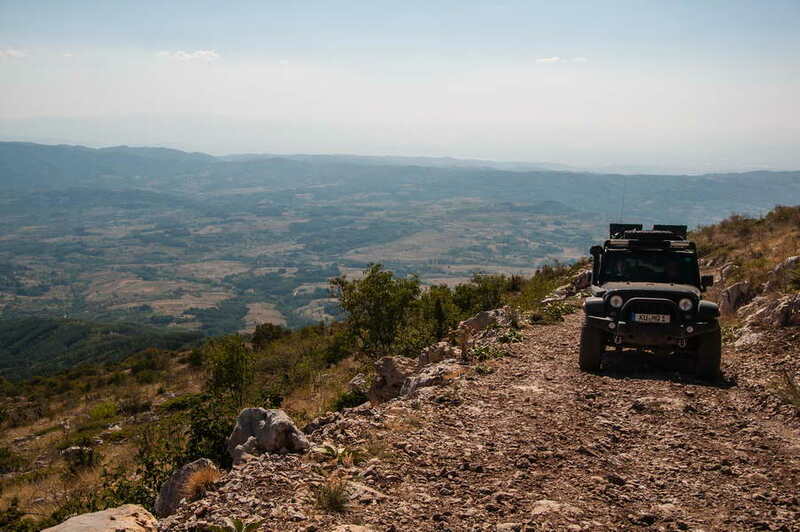 We’ve taken the exciting new western approach, ascending the plateau from the Krčimir village. It’s quick, but steep and harsh – on an extremely hot summer day the “hot oil” blinkers went crazy, even with low range engaged. Our goal was to reach Smrdan, the very point where the two V shaped ridges connect, giving probably one of the most fascinating mountain vistas in whole eastern Serbia. It’s a perfect camping spot – a flat meadow surrounded by forest as far as the eye reaches, with firewood in abundance, and the rocks perfect to meditate watching the sun go down towards the northwest behind the exposed Trem peak. Shepperds with their sheep and cows are the only living beings that you’re likely to meet there. And if you’re especially lucky you may encounter the wild horses of Suva planina, but they’re usually hiding at some meadows deeper inside the highland woods. We haven’t met them this time, but according to the “marks” they’ve been leaving behind in the meadows, there’s definitely plenty of them around. Oh, how could we forget the wolves, who are the real masters of the Suva planina highlands. But they’re not a threat to us, since they’re almost exclusively interested in the sheep. Stara planina is the only mountain shared between our Eastern and Southern Serbian Nomadic tours, and it’s no coincidence – it is the most praised Serbian mountain by far, and a truly magical place that you fall in love with at first site, the only mountain that many said has a clear advantage in beauty and dynamics of 4×4 travel to anything they’ve experienced in the Carpathians. Altghough it’s not even a part of Carpathians, it has the kind od highland ridge allure that makes people addicted to the South Carpathians. Stara planina is the beginning of a huge mountain range that soon winds eastwars into Bulgaria reaching the Black sea, and is called Balkan there (so now you know where “the Balcans” comes from for the entire peninsula). It is THE mountain at the throne. It also has the highest peak of Serbia (Midžor, 2170 m), the most (and the highest) waterfalls in Serbia, the longest highland ridges in Serbia, the most beatiful river valley in Serbia… In other words, a tour of eastern Serbia without Stara planina would be missing it’s most important and spectacular part, so it’s no wonder that we’ve devoted the next three days to it. As Suva planina is the “island” type of mountain (something like Ceahlau in the Carpathians), we inevitably had to cross the main roads and at least some civlization on our way to Stara planina, but we at least tried to put it to good use, to refuel and resupply (no chance to do so in the next 3 days). So we passed through the small town of Bela Palanka, crossed the Nišava river and headed on to the outer ridges of Stara planina. Lakes, rivers, canyons, magnificent trails over high grassy ridges, quickly sucked us into the magic of the place. The weather deteriorated, but we weren’t worried. In fact, we decided to go for the most remote campspot in the entire Stara planina, our favorite oasis by a mountain stream at 1700 m altitude just next to the Bulgarian border. Sheltered by the high pinetrees, the winds can’t do much harm to us there, nor can heavy rains cause floods due to the altitude and the fact that we’re at a spot that is quite some meters raised above the stream. We’ve had a great night there, and it turned out to be a good decision. We’ve even tried to prolong it a bit by getting down to the Zavoj lake, and then going up again from the Pakleštica village, only to end up in the inevitably muddy Kovačevo descent into the valley on the other side. 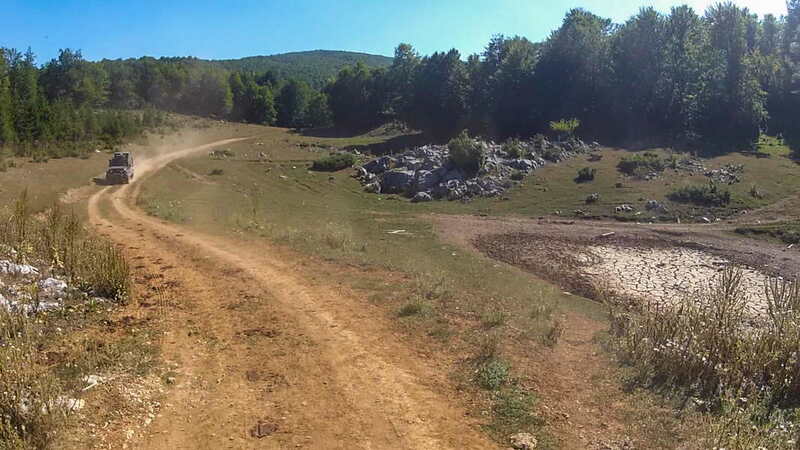 But this summer in Serbia was so hot and dry that even the Kovačevo sideangle mud-trails could be driven without slamming against the lower trail wall, which isn’t something that you get a chance to do often. Maybe it drew out the mud fun from the tour, but sent us a clear message that we can try even the hardest Stara planina trails now in perfectly controlled, no-risk conditions.